It’s not a bad life watching the scenery along the Danube unfold from the comfort of your bed – I could get somewhat used to this. But food and adventure await, so after a hearty breakfast, instead of joining the included walking tour of Passau, we ventured out on our own. 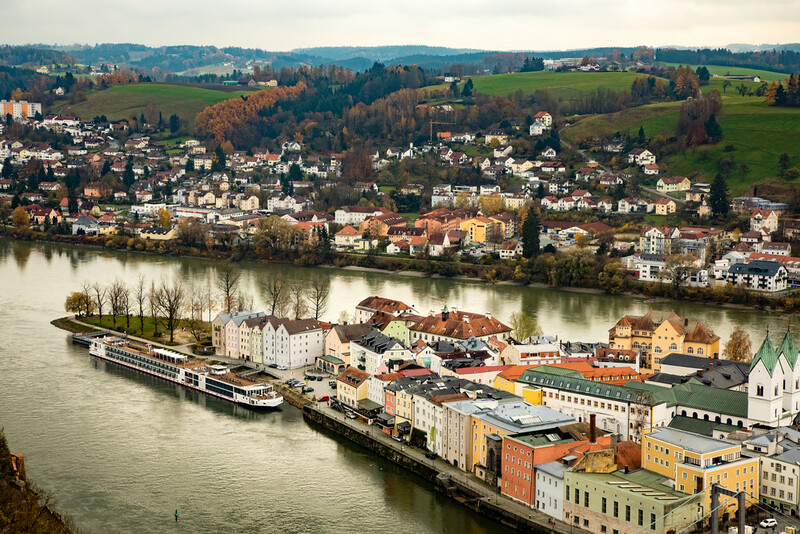 Passau is located close to both the Czech and Austrian borders and lies at the confluence of three rivers, the Danube, Inn and Ilz. We were moored right by the old city, so an easy walk to see the sights. It’s a pretty city with its baroque style, alleyways and winding streets. We strolled down the Art Alley with its painted cobblestones, visited the conjunction point where the three rivers meet, passed the Rathaus (Town Hall) and headed up to the highest point of Old Town to visit St Stephen’s Cathedral. 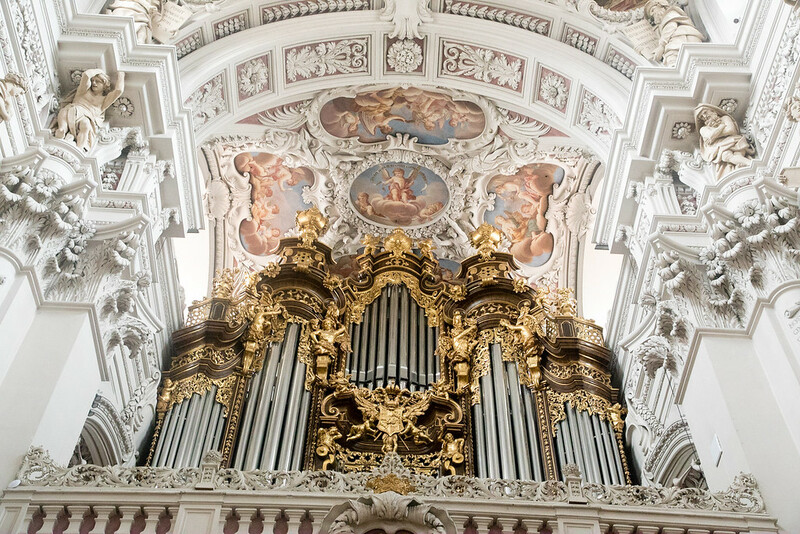 Well, we thought the Melk Abbey from yesterday’s adventure would be hard to surpass but this baroque style cathedral built in the 17th century was equally impressive, if not more. Here you will find the largest cathedral organ in the world, with its 17,974 pipes and 233 stops, but sadly no organ concerts in November as the organist is on his annual holidays! 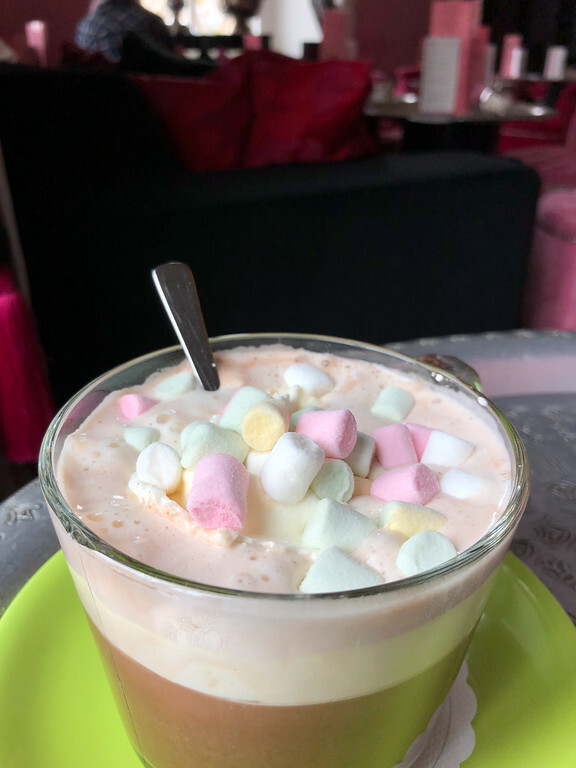 After exploring the town, it was time for a large hot chocolate with yummy marshmallows. With a few hours to spare before the ship set sail, we headed across the river to the Fortress Veste Oberhaus which offered incredible views overlooking Passau. A pleasant stroll downhill led us back to the boat just in time for a spot of lunch before the restaurant closed and a relaxing afternoon in the ship’s lounge. 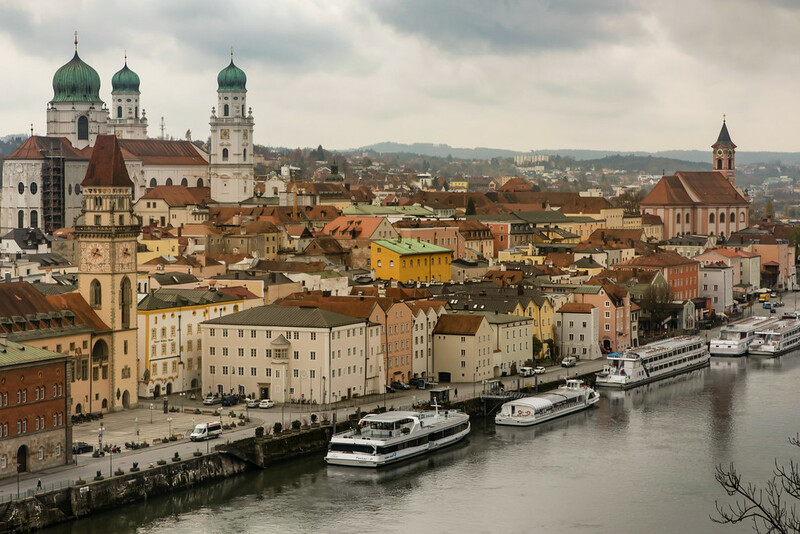 Today, there were a few optional tours on offer such as a day trip to Salzburg or a Bavarian cruise which were returning after the ship set sail, so if we had wanted a bit more time in Passau, we could have. All we needed to have done, instead of boarding by 3 pm, we could have waited until 5 pm and joined the shuttle bus which would have taken us downriver and met up with the ship later. But then again hanging out in town, watching your ship disappear off without you would be a bit nervewracking. So, after pre-dinner cocktails, dinner and a nightcap, it was time to say goodnight. Didn’t get to hear the sound of the world’s largest cathedral organ.